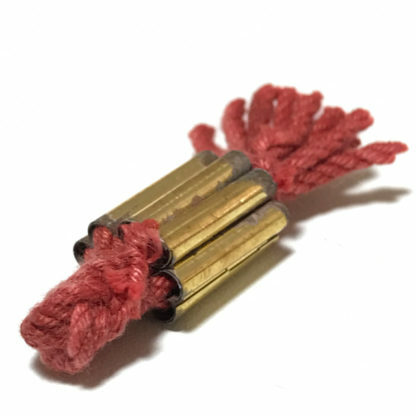 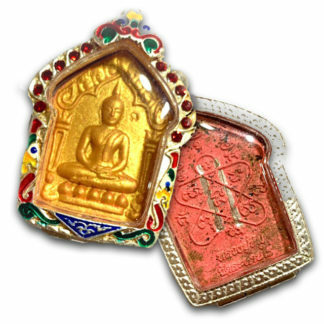 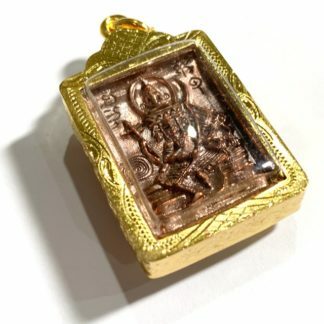 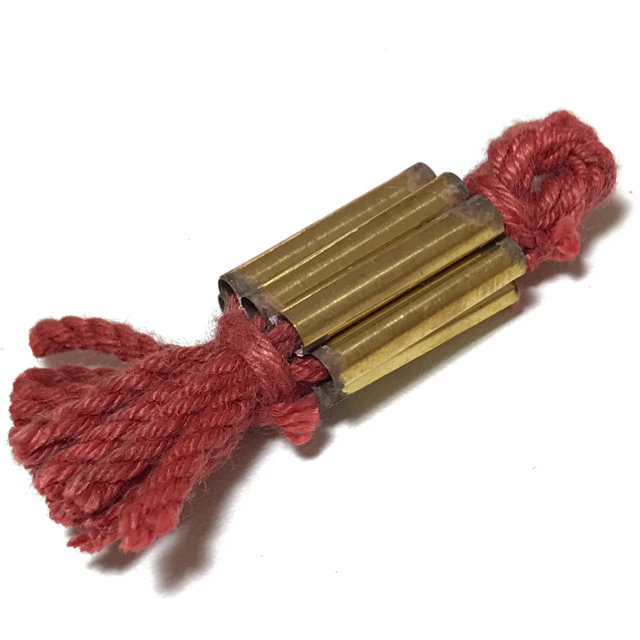 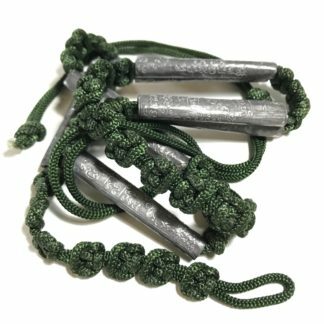 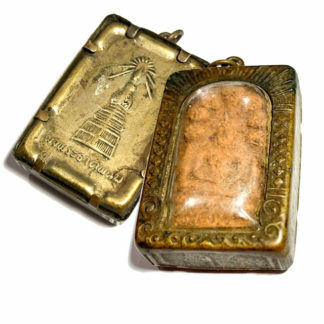 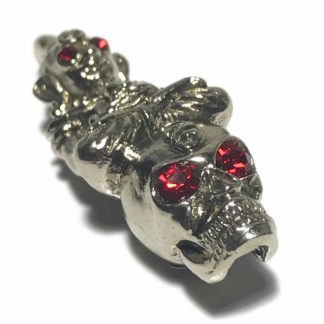 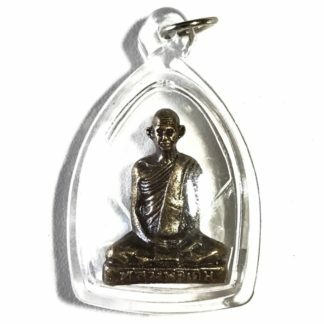 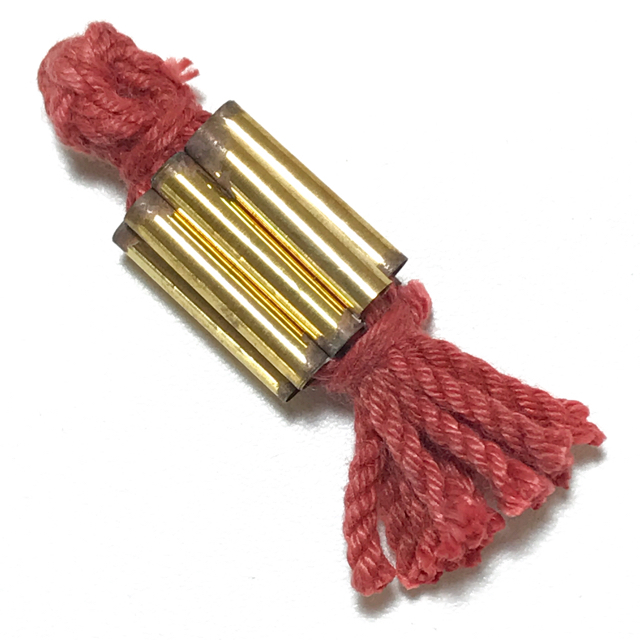 An all time Lanna Classic amulet, and one of the most Famous amulets of the Lanna Tradition, the Takrut Gao Gum on spellbound cord. 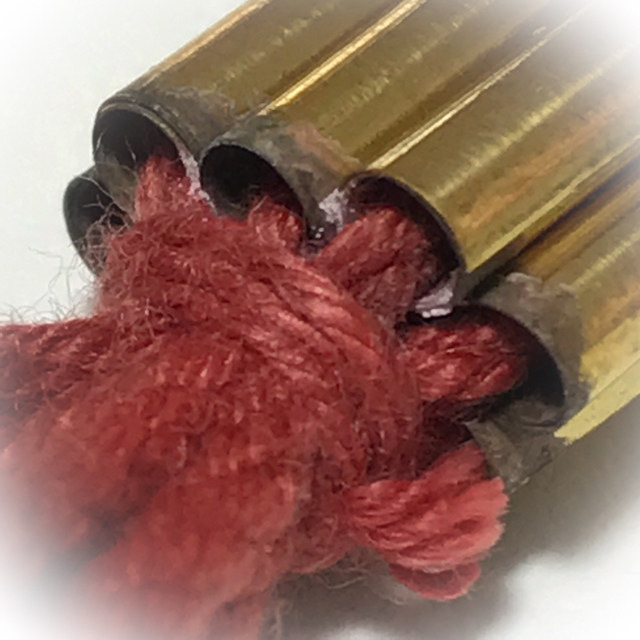 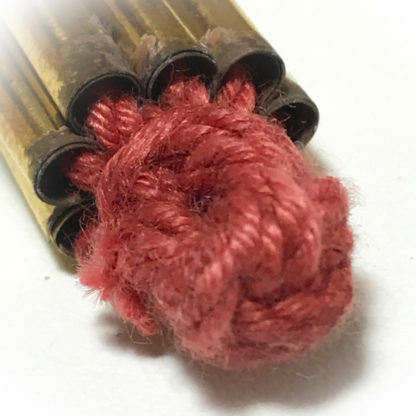 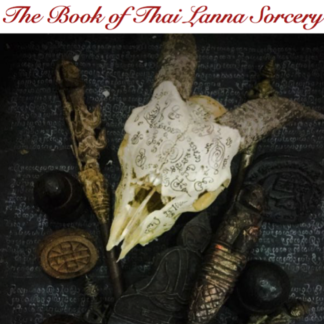 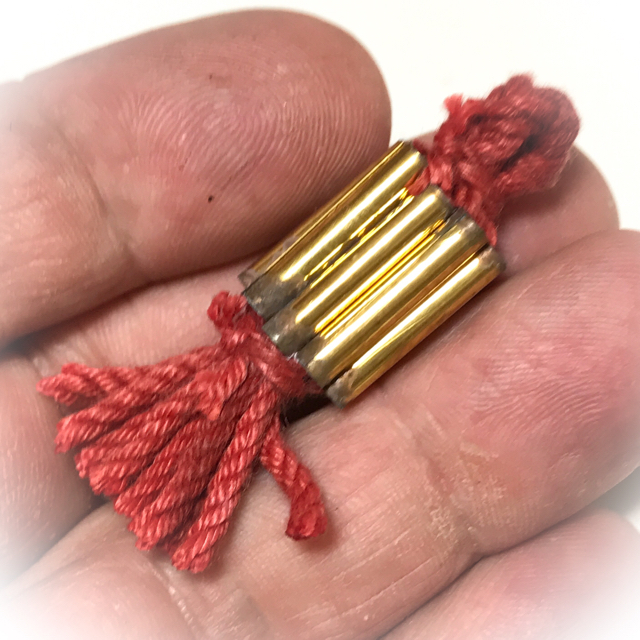 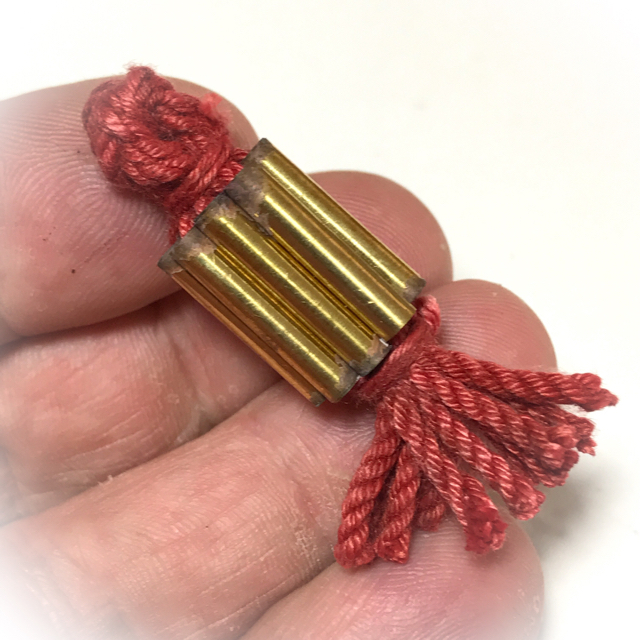 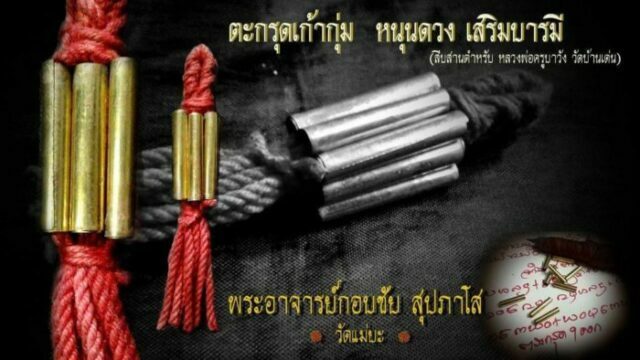 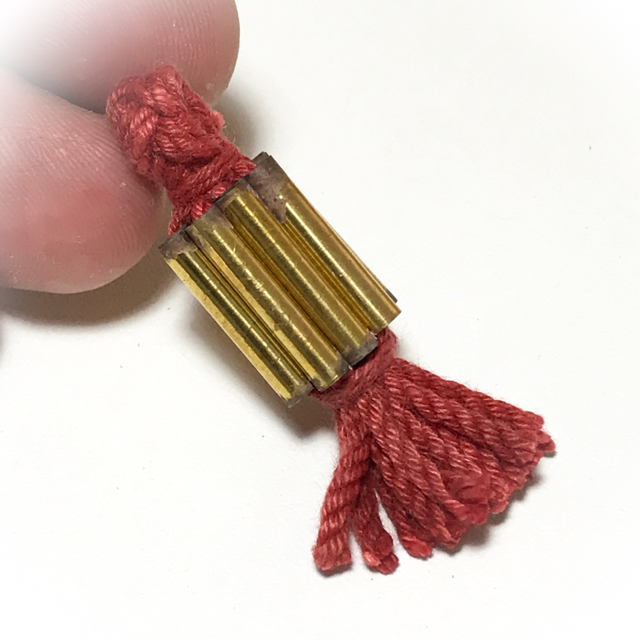 made from enchanted ‘Daay Daeng Akom’ red sorcerer’s cord, empowered by Pra Ajarn Gorp Chai, with the Ancient Wicha Lanna of the Great Guru Master Monk, Luang Phu Kroo Ba Wang, who is one of the Kroo Ba Ajarn of Pra Ajarn Gorp Chai’s Lineage. Takrut Gao Gum Wicha Kroo Ba Wang, Nine sacred yantra scroll spells for all round protection and prosperous blessings, from Pra Ajarn Gorp Chai of Wat Mae Ya. 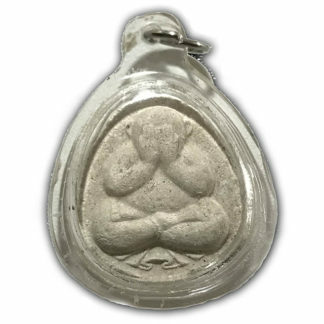 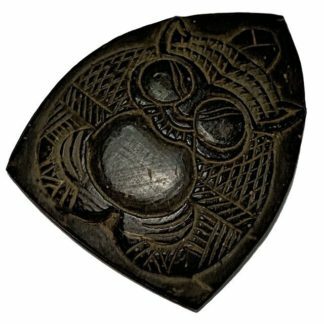 The amulets were released with various other amulets after 3 months of constant nightly empowerment, in the 2560 BE Traimas Edition. 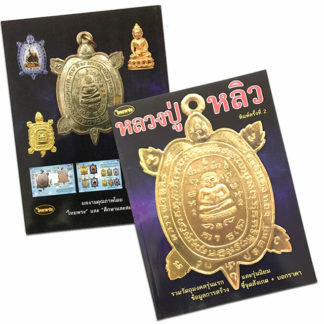 Pra Ajarn Gorp Chai is the continuing lineage practitioner of the Wicha of Luang Phu Kroo Ba Ban (Wat Mae Ya), and is a Lanna Monk who has continued the Wicha of Kroo Ba Wang through the Lineage of his Kroo Ba Ajarn in the most diligent fashion, as well as increasing the spells within the repository of grimoires at Wat Mae Ya. 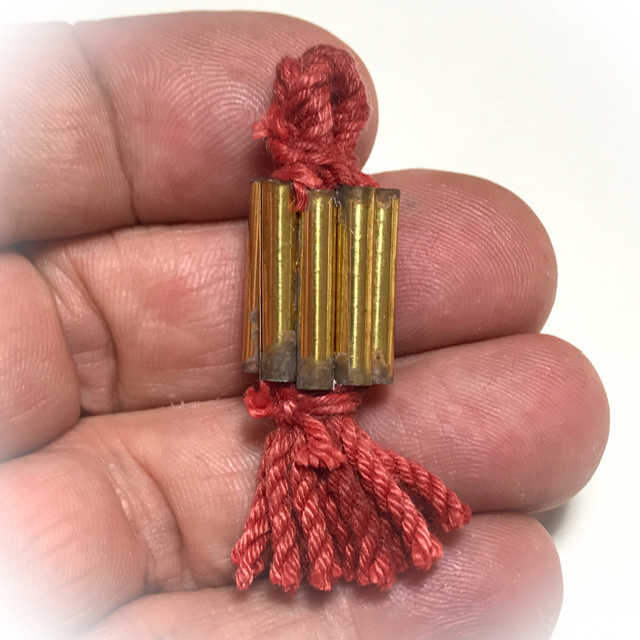 Takrut Gao Gum is a powerful Sacred Geometry based Talisman containing a myriad of magic spells, which has been used by ancient folk for centuries.